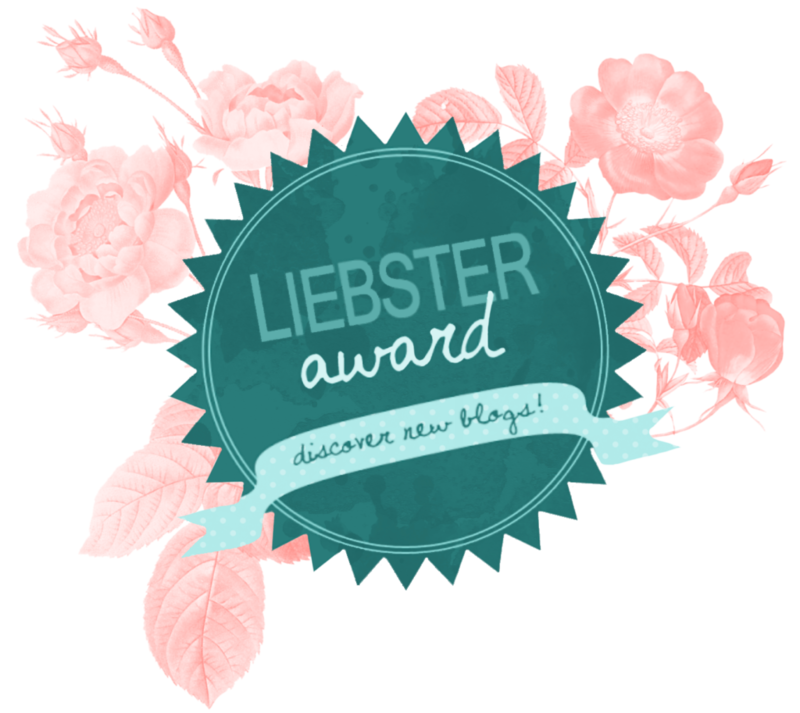 I’m very excited that I’ve been nominated for a Liebster Award! This is an award given to bloggers by other bloggers, with a goal of helping people discover new blogs and build a community. I was nominated by travel and lifestyle blogger Tamsin of Where The Heart Is. Visit her blog to see her amazing photography of travels through South Africa, and make sure not to miss her dreamy Instagram feed! Thanks Tamsin! 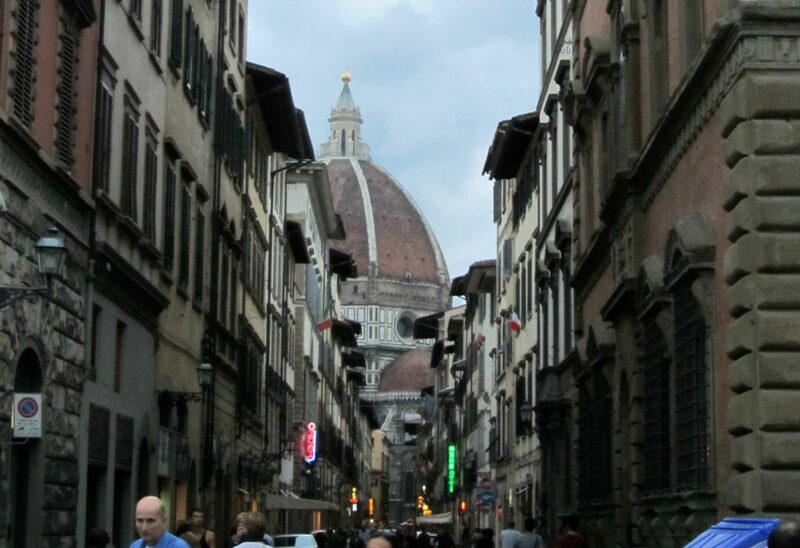 I will never forget the first evening I spent in Florence. The sun was going down so I popped out for a quick stroll, and came around a corner only to see the Duomo di Firenze towering high above the buildings. It was such a powerful sight (below, taken on my very old camera!). Do you prefer visiting cities or the country? I like the bustle of a city, especially one with lots to see and do. I would get bored sitting on a beach flicking through magazines, and prefer to experience the culture as the locals do. That being said, I’m keen to visit some countries where beach life is a big deal — I guess I’ll have to make an effort! What do you find most difficult while traveling? I like to pack as much in as possible, so tend to overbook myself. I’d drop things off the list, but it’s usually that I’ve not left enough time in one place, and spend most of the day out and about visiting. It makes for tiring days! This year I’d like to focus on relaxing and enjoying my time away. Which city/country have you found the most challenging to travel in? 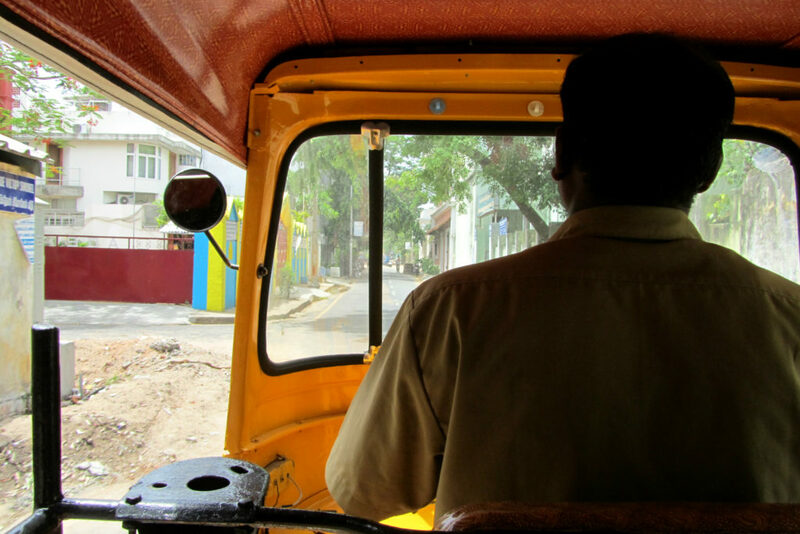 The cultural differences in India made getting around quite difficult. Luckily, I was there for a wedding and a lot of our transportation was recommended to us. I love reading other travellers’ stories about their experiences in India, to see what it was like for them! I’ve visited 16 countries so far. I should probably stop going back to London and try a few more countries this year! Where was your first international holiday? I grew up in Canada, so we often went to the United States for family vacations. The time that stands out was my 9-year-old self wandering into Disneyland. It really is the happiest place on earth! I almost didn’t get there though, because I told my mom I didn’t want to miss any school days.. standard. What was the country that surprised you the most on your travels? Portugal. 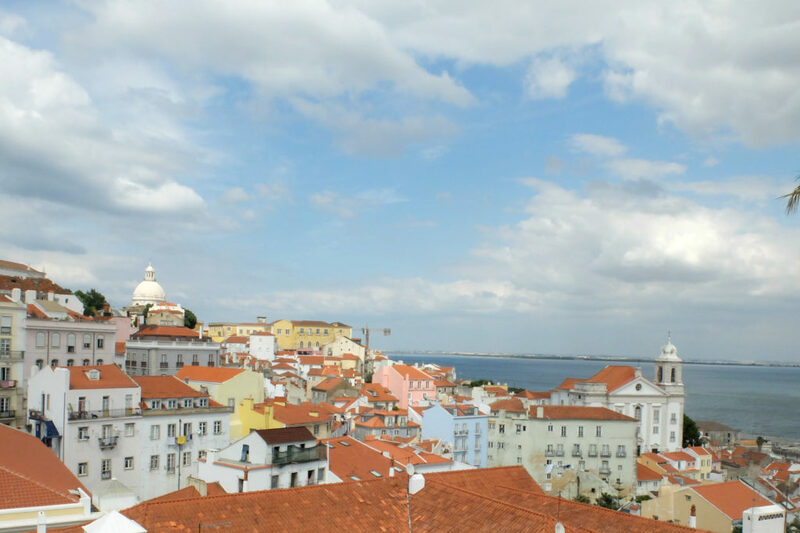 I tell everyone that Lisbon is a perfect mix of San Francisco hills and Barcelona lifestyle and architecture. Porto is great for a more relaxed vibe, and it’s just a short drive from the Douro Valley. Sintra has the history, if that’s what you’re looking for. All in all, the wine is green and bubbly, and the people are friendly. It’s a must visit! I will be doing a two week trip through Greece and Croatia in a few months, and I can’t wait! I’ve been meaning to visit both countries since I moved to Europe five years ago. I haven’t planned a thing beyond getting in and out, so please send on your suggestions! When was the last time you were in your home country? I was home in Canada for Christmas, and there was snow! I try to get home once or twice a year. What were you doing before you became a blogger? I still have a day job! I keep this blog to catalogue my thoughts, journeys, and photos. It’s nice to look back to relive all the adventures, and remember those crazy decisions. And hopefully, someone else might find what I’ve learned useful! Yes! I’ve done several two-week trips through Europe on my own. If you’re nervous to head out solo, make sure you do your research on the destinations, plan out how you’re going to get from A to B to C, and learn a few phrases in the local language. It can be tough, but it’s worth it when you finally let go and get out of your comfort zone. My favourite blog to catch up on is The Travel Hack! I’ve been following Monica’s travels for years, and have enjoying watching her blogging adventure turn into a full-time job alongside an amazing group of travel writers. If you’re looking tips to travel in style, check it out! Need Another Holiday: I’ve been reading Clare’s blog for as long as I can remember! My favourite thing about her style is she plans most of her trips around the rest of her life. It’s not about travelling for months at a time, but rather short breaks when work, life, and budget allow. The Well-Travelled Postcard: Virginia has travelled, volunteered, and studied her way through more than 50 countries. She documents her experiences on her blog to inspire others to explore the world! The Lazy Travelers: I couldn’t explain it better than the Lazy Travelers themselves: We are two best friends who have mastered the art of exploring a new city. We’re professional bar hoppers, pub crawlers, and food testers, and you’ll never see us zipping around, checking things off a list of “must-sees.” What more could you need in a travel blog? Check them out! Kaleena’s Kaleidoscope: Kaleena is a Californian teaching English in South Korea. She’s on a mission to soak up as much adventure out of life as possible, and documents her adventures on the blog. Ali’s Adventures: Ali traded in her 9-5 life to travel the world and share her journey with us. She’s got everything from tips, to budget travel, and recaps of her experiences. She describes her lifestyle as unconventional, and wants to show you how you can do something similar! 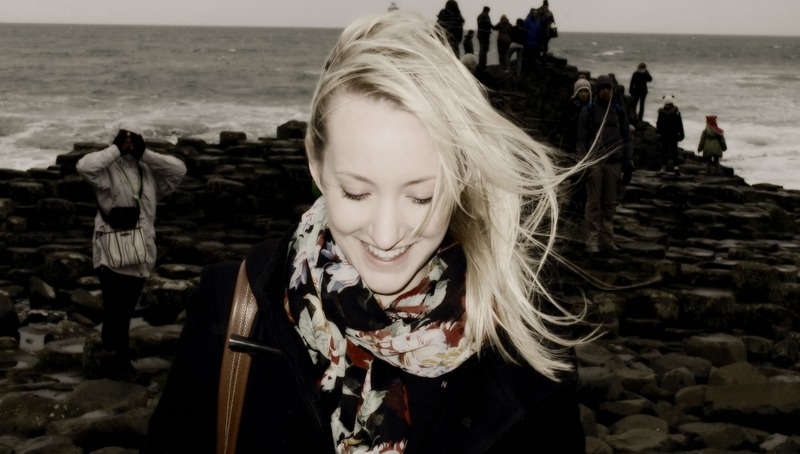 The Cosy Traveller: Emily is a London-based 20-something who loves travel and comfort. She loves quirky hotels, slower travel, scenery, animals and tea. She’s bringing to light a cozy, comfortable type of travel with a focus on helping you make the most of your annual leave. I’m sold! Nominated? Here’s what to do next..
Congratulations! Now it’s your turn. Should you choose to accept your nomination, here are the rules for participating. Thank the person who nominated you, including a link to their blog. Try to include a little promotion for the person who nominated you. Display the award on your blog. You can visit The Global Aussie to choose your favourite banner! Nominate 5 – 11 blogs that you feel deserve the award, who have a less than 2000 followers. Inform the bloggers you’ve selected of their nomination! Provide a link for them to your post so they can see how you’ve presented your nomination. Remember to provide them the list of rules, and create 11 questions for them to answer in their post. Where is the farthest you’ve travelled? Do you have any goals for travelling in 2017? Beach vacation or city break? Why? How do you keep with your blogging routine? How old were you when your first took a plane? Where did you go? If you could do anything tomorrow what would it be?